If your favorite waterproof jacket or soft-shell has lost its water resistance, or your rain gear is no longer shedding rain, don’t throw it out! 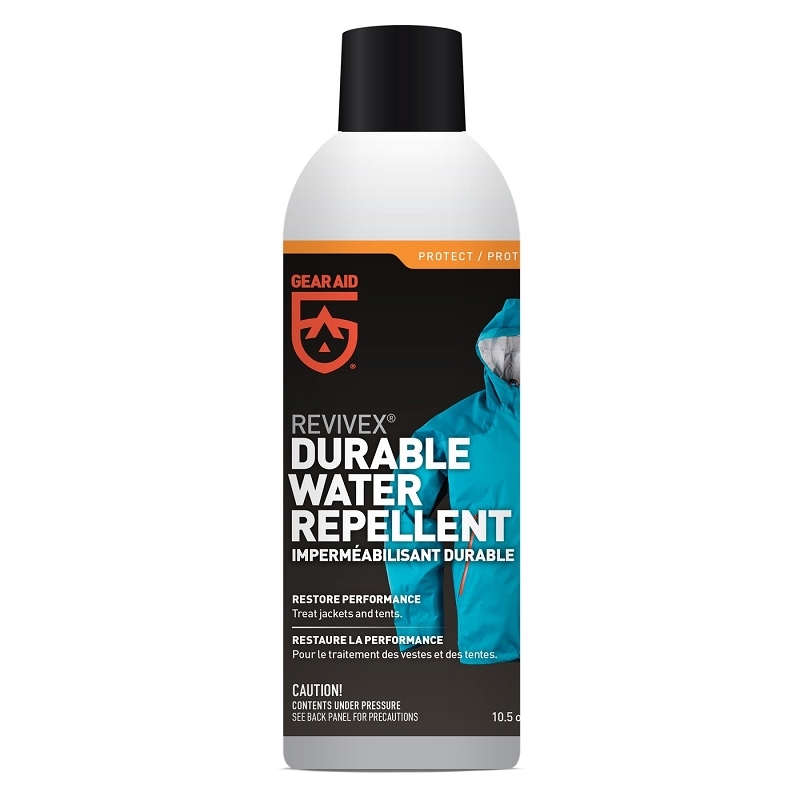 Spray on ReviveX® Durable Water Repellent to create or restore water, oil and stain repellency on all your favorite outerwear. How does ReviveX spray-on water repellent do it? Your rainproof outerwear comes factory-treated with Durable Water Repellent (DWR). Over time, it wears off—so you feel wet and clammy, instead of warm and dry. 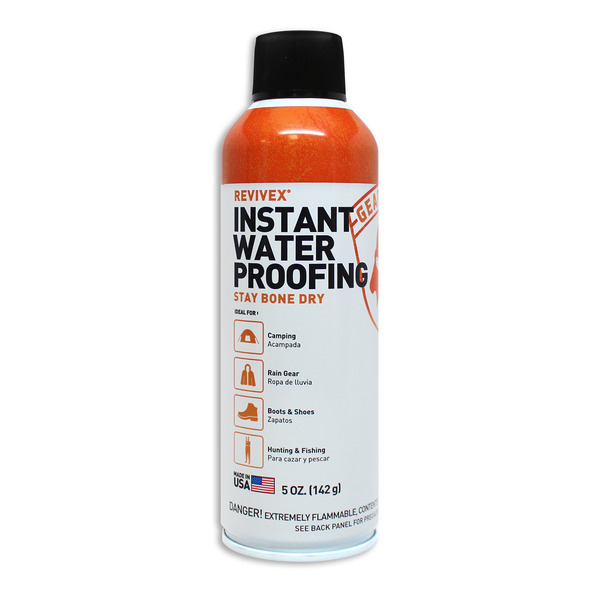 After washing the dirt and oils away with ReviveX Pro Cleaner, the waterproofing will bond to the fabric, restoring factory level water repellency without impacting breathability. No matter what the weather does, you’ll stay drier—and stay outside longer—with ReviveX from Gear Aid®.